Chinese carriers are working with Apple to come up with ways to reduce spam in iMessage, state media claims, with Apple allegedly working on developing "advanced technology" to cut down on the unwanted messages and identify accounts sending the messages. Following criticism from the media and regulators over spam calls and messages, Apple is said to be coming up with ways to reduce the spam messages, according to a report from the state-run China News Service spotted by Reuters. 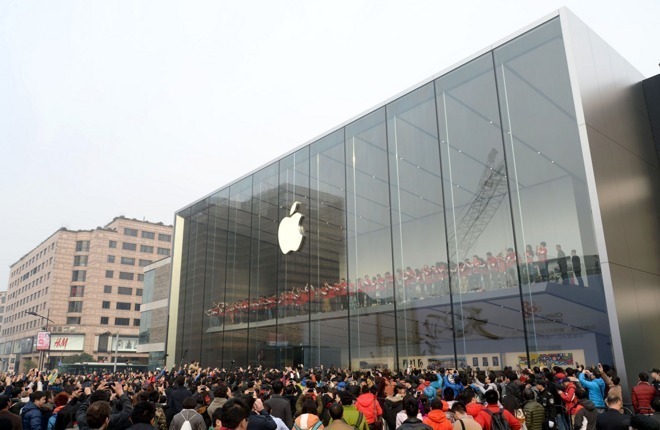 The report also claims an Apple official advised the Chinese outlet of the work. "We've been working to reduce the issue of spam for quite some time," an Apple spokesperson advised to Reuters, but declined to comment on the China News Service report. The report follows a number of attacks made against Apple by local media in the last week, including a 30-minute special report broadcast on Tuesday claiming Apple allowed illegal content like gambling apps. It seems the reports surfaced at the same time as regulators launched a new campaign to combat spam messages and calls. While spam and nuisance calls are a problem worldwide, they are a major problem in China, a market where phone numbers are reportedly sold on black markets to groups participating in such actions. A similar issue is being fought in India, where in recent weeks, Apple was threatened with iPhones being blocked from the country's networks by the local regulator if it didn't enable a "Do Not Call" reporting app on its devices. Apple initially resisted, citing privacy concerns, but on Monday advised to the Telecom Regulatory Authority of India that there could be an alternative option to enabling the potentially privacy-infringing app. Arriving as part of iOS 12 due this fall, Apple is enabling a way for developers to create such apps, with developer documentation advising how to take advantage of an "Unwanted Communication" extension in the Settings app. Under the function, users will be able to use a Report option in their recent calls and messages lists, which then hands off to the reporting app. It is unclear if the supposed activity to combat spam in China is linked to the upcoming iOS 12 feature, if it is being developed as an additional tool, nor if it is being made just for that country or for global use.